Tom Clancy’s The Division 2 is coming, and it is coming soon. Ubisoft’s latest financial report confirms the game’s release date will come before April 2019. Ubisoft confirmed that three “AAA games” will launch this fiscal year, which ends April next calendar year. Those games are The Division 2, The Crew 2, and an “unannounced franchise title,” and they expect those titles to sell roughly 19 million units. They’d previously planned to launch a fourth game during the period with ship combat title Skull & Bones, though that’s now been delayed to fiscal year 2020. Want to know about all the big stuff on the horizon? Of course you do. Check out all the upcoming PC games. The company confirmed during their conference call that both The Division 2 and that unannounced game will be unveiled in full at E3, as Daniel Ahmad notes on Twitter. Ubisoft’s E3 conference takes place on June 11. 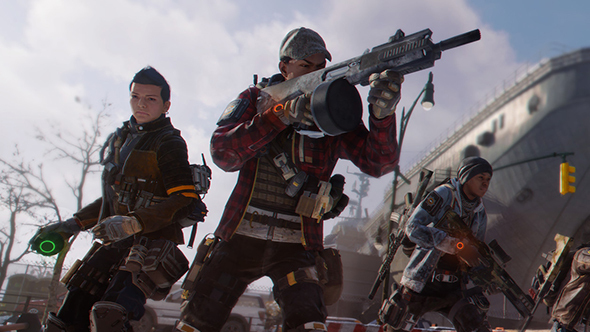 The Division 2 was unofficially confirmed a few months ago by the series creative director, and it’s apparently been in development for over two years now. Of course we are still waiting on the crucial details like aThe Division 2 release date, so perhaps we will hear more at Ubisoft’s E3 2018 press conference, which kicks off in a little less than a month.